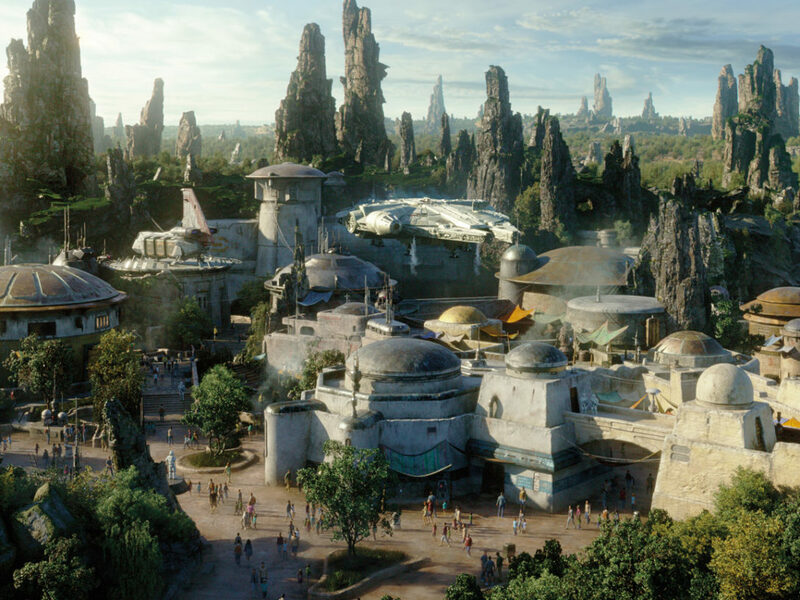 Read a full report and see photos from the reunion that kicked off Celebration Orlando in historic fashion. 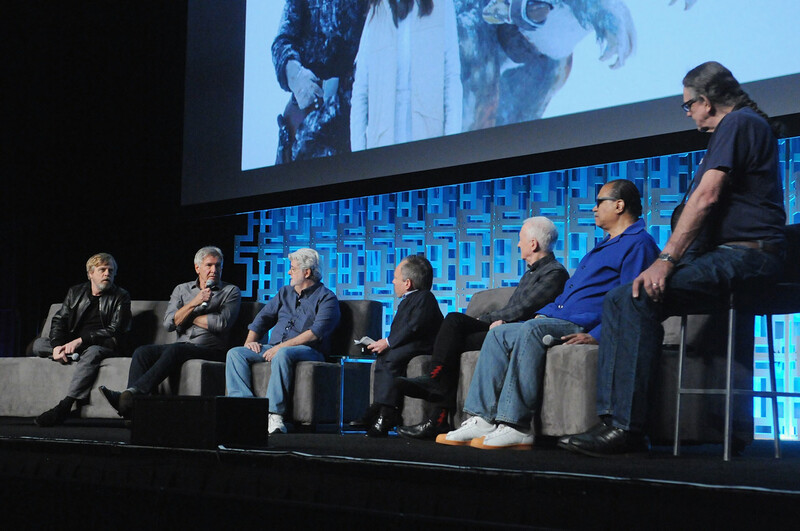 Star Wars stars and creators from across the history of the saga came together for “40 Years of Star Wars” — an emotional, funny, warm, and powerful panel that kicked off Celebration Orlando today. 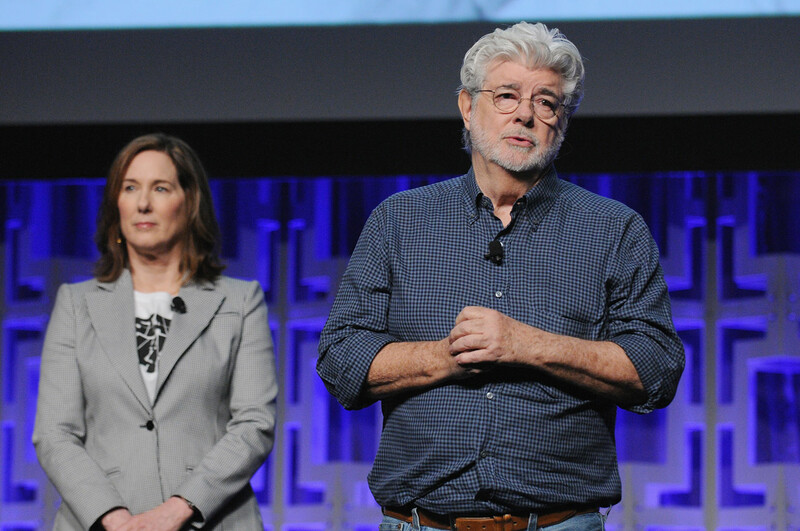 The surprises were many: George Lucas, unannounced, emerged to rapturous applause when introduced by Lucasfilm president Kathleen Kennedy and remained onstage throughout. Harrison Ford, also unannounced, received a long standing ovation as he made his first Celebration appearance. 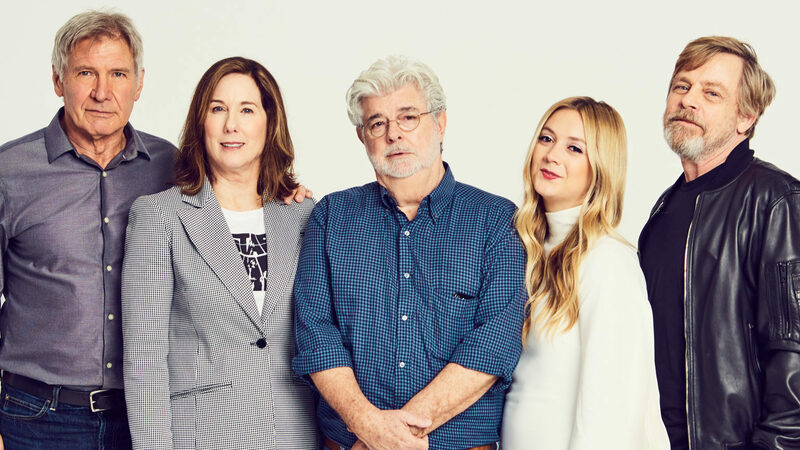 Billie Lourd, Carrie Fisher’s daughter, offered a loving tribute to her mother including a line-for-line reading of A New Hope‘s “You’re my only hope” monologue. And the festivities closed with the right-stage curtain pulling back to reveal John Williams and the Orlando Philharmonic Orchestra, playing “Princess Leia’s Theme” in tribute to Carrie Fisher, followed by more Star Wars classics. 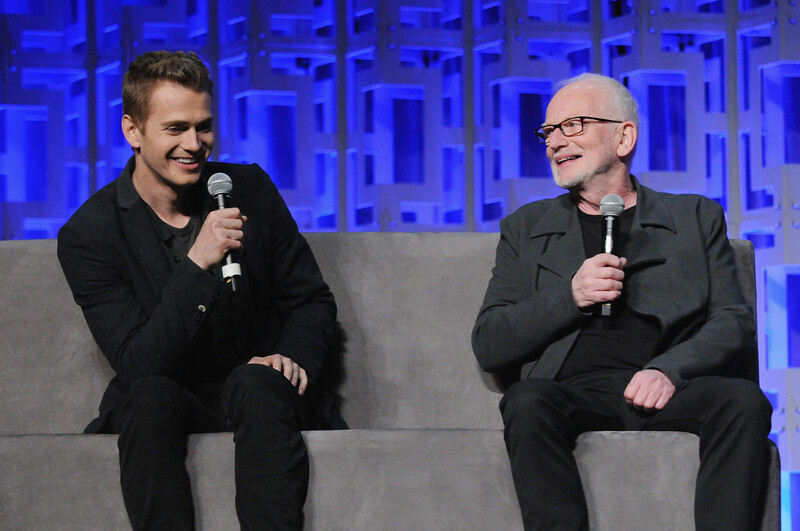 Hosted by Warwick Davis, the panel opened with a video looking back at Star Wars, from interviews with fans in 1977 to references in The Simpsons, and would feature more Star Wars legends: Dave Filoni, Ian McDiarmid and Hayden Christensen (making his first Celebration appearance since 2002) together, Billy Dee Williams, Peter Mayhew, Anthony Daniels, and Mark Hamill, in addition to Kennedy, Lucas, and Ford. 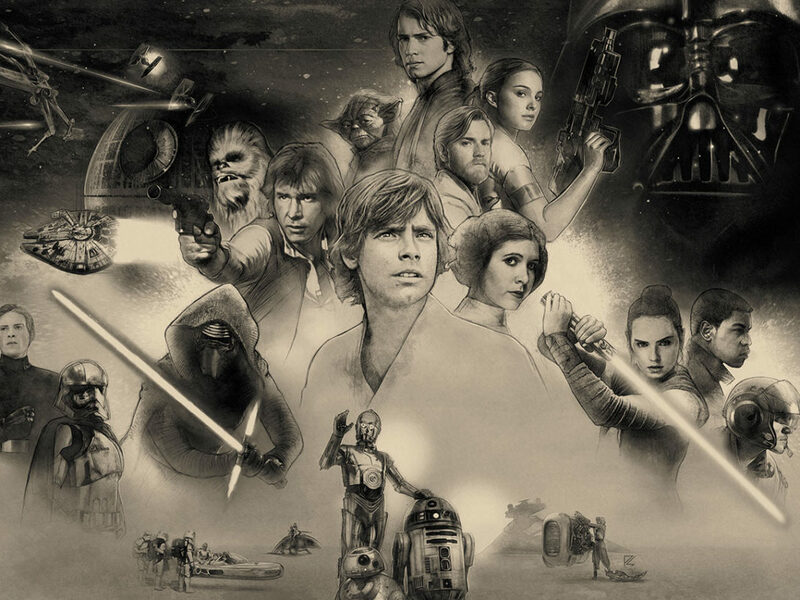 All reminisced, told stories, remembered absent friends, and celebrated Star Wars. Here are the highlights. 1. 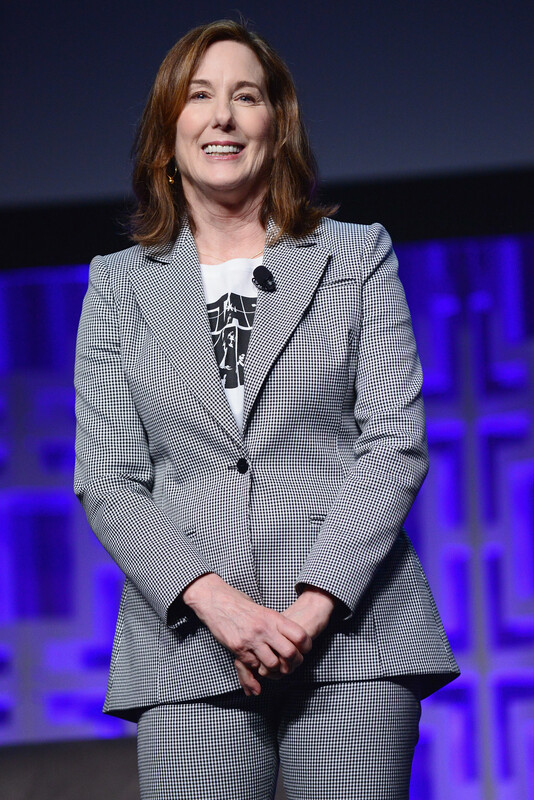 Kathleen Kennedy thanking fans and introducing the maker. 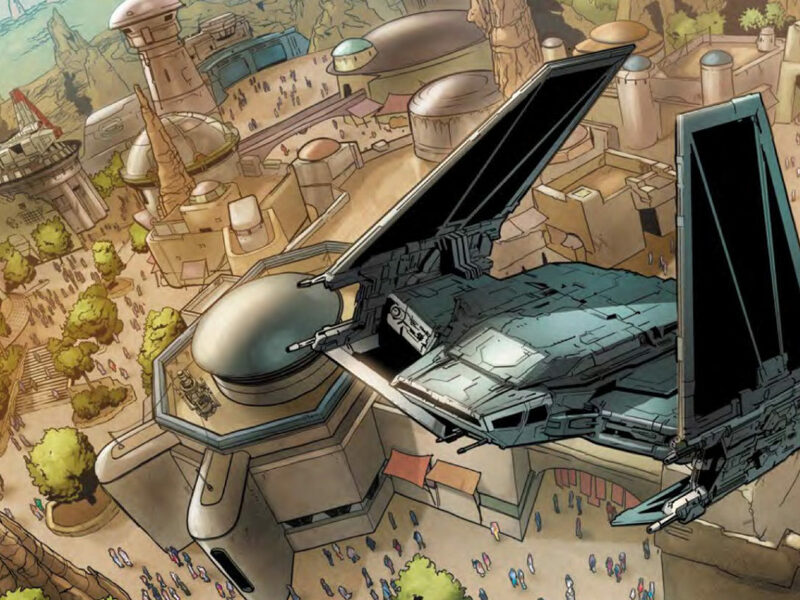 The first guest introduced by Warwick Davis, Kennedy took the moment to reflect on the galaxy far, far away, her time at Lucasfilm, and what the fans mean to everyone working on Star Wars. “I’m sure, like me, you can’t quite believe that it’s been 40 years,” she said. 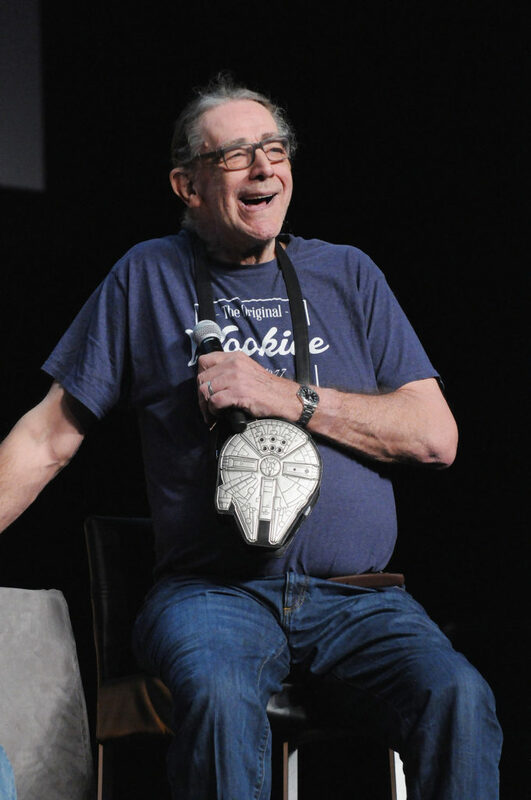 “What I’ve experienced has really exceeded my wildest dreams…Your passion, your dedication, and your love of Star Wars — you have no idea how that inspires us every single day.” Then came time to introduce the man who dreamed it all up. 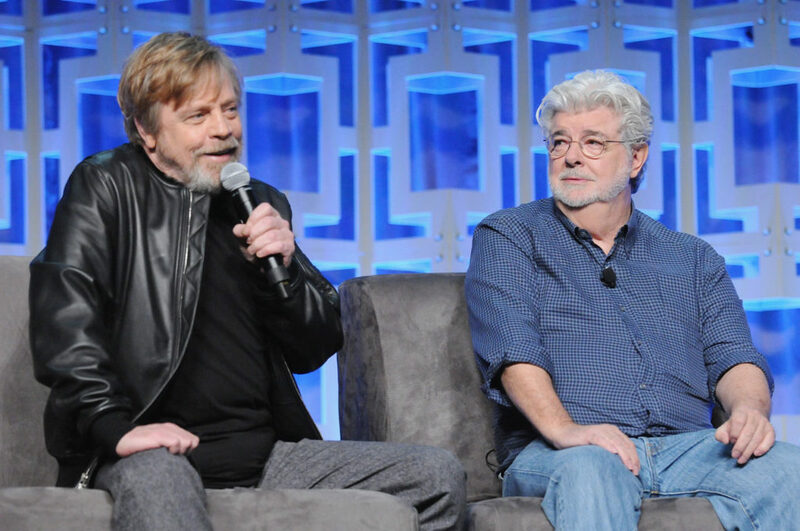 “The greatest honor for me is to acknowledge the man whose collective genius has brought us all together today.” The crowd stood up, giving a raucous ovation to the Star Wars creator, chanting “Lucas, Lucas!” A great moment for fans. 2. George Lucas reflects on the origins of Star Wars. Davis asked if there was one single moment where Star Wars came to him. As Lucas explained, it wasn’t so simple. “There was a moment, but it was an idea,” he said. “The idea was more, ‘I would like to make an action movie that was more like a Saturday matinee…but imbue it with mythological motifs. 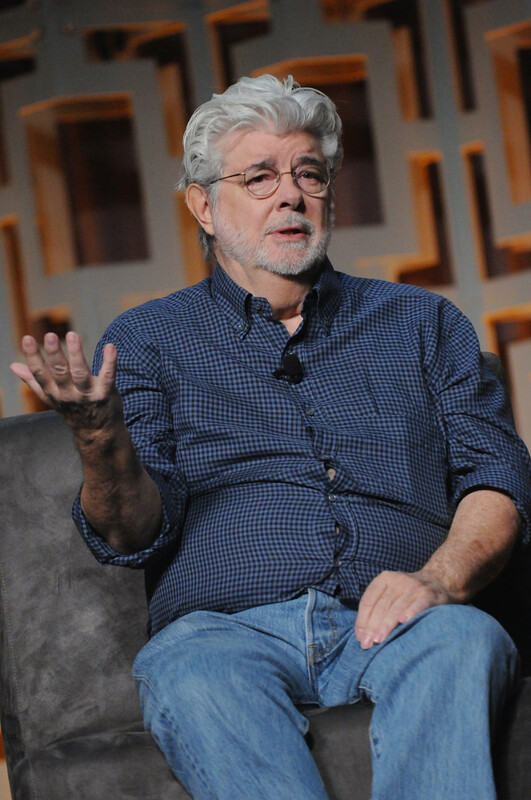 '” Lucas also recounted how Star Wars was a tough sell. THX 1138 wasn’t really a hit, and the studio didn’t like his then-unreleased American Graffiti. But, after an early screening, Alan Ladd at 20th Century Fox loved American Graffiti and wanted Lucas’ next movie, whatever it was. It was Star Wars. 3. A young Warwick Davis’ letter to George Lucas. Davis was cast as Wicket the Ewok when he was only 11 — the dream of essentially every 11-year-old at that time — and read aloud a note he penned to Lucas following production on Return of the Jedi. “My name is Warwick,” it read. “I hope you remember me. I helped you make the new Star Wars film last year.” The point of the letter? To ask for toys, of course, specifically an Ewok and Jabba the Hutt. The letter was shown on the big screen, and on the next slide, fans saw a beaming young Davis, Star Wars toys proudly on display. 4. 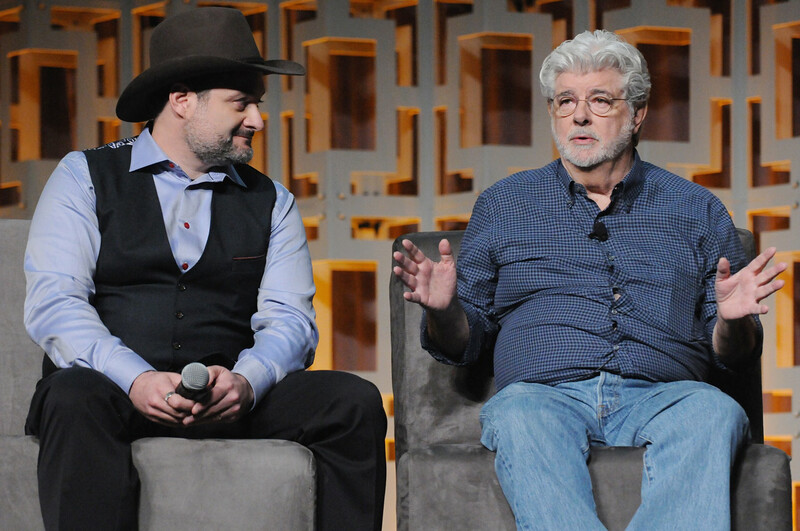 Dave Filoni names the most important lesson he learned from Lucas. 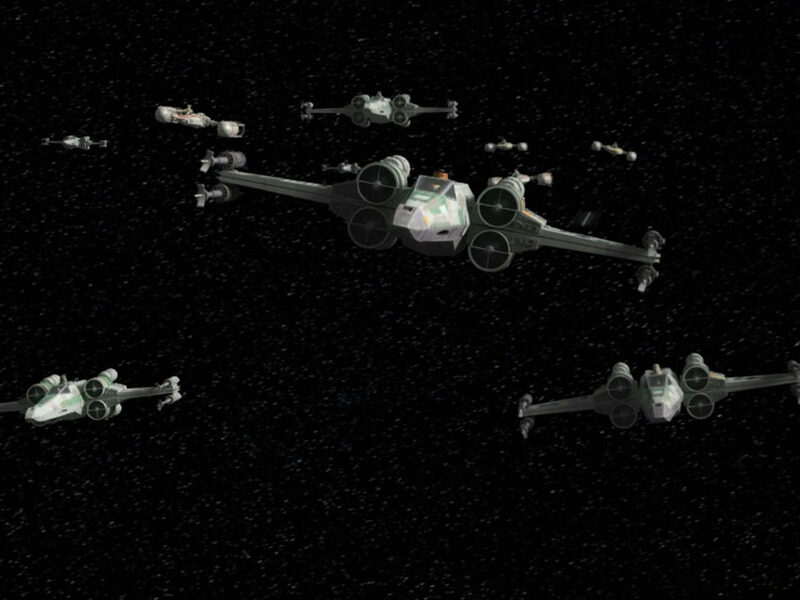 When Lucas decided to bring Star Wars to TV animation in the form of Star Wars: The Clone Wars, Dave Filoni was hired as supervising director and shepherded the series. 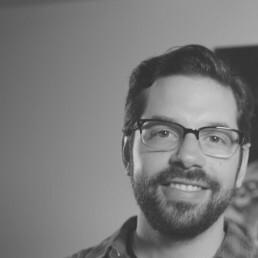 He worked closely with Lucas throughout the show’s entire run, and was something of a Padawan to Lucas’ Jedi Master. 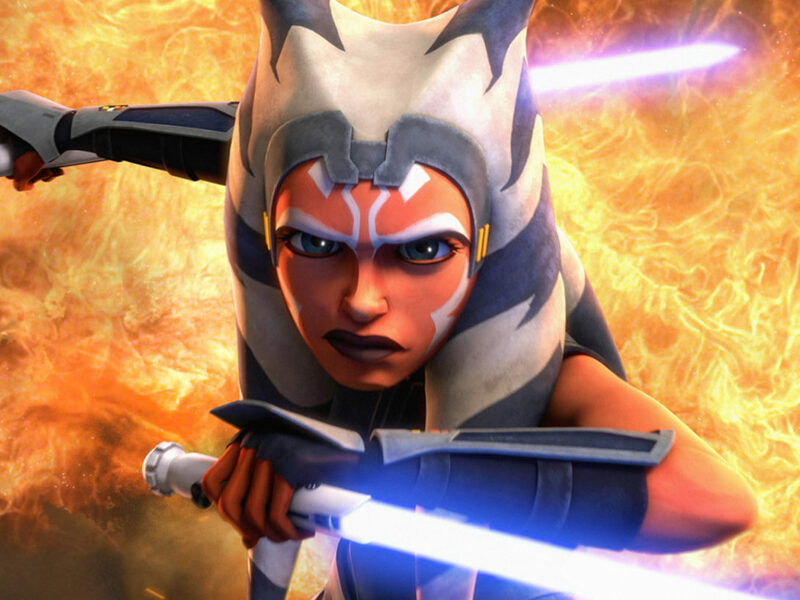 “I’m really lucky,” Filoni said. 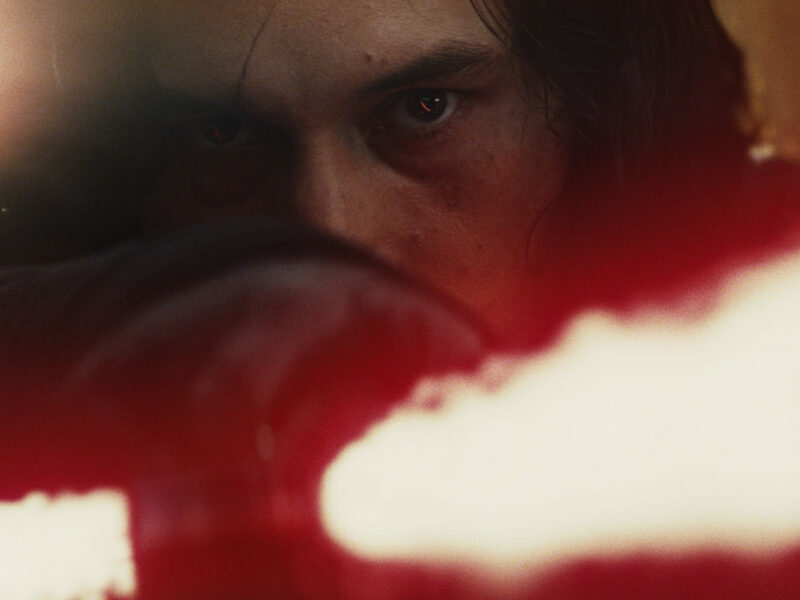 “I would say the most important lesson there is, he would always tell me, ‘Don’t be afraid.’” It would have been easy to be overwhelmed working onStar Wars, to not want to break it, Filoni said. But Lucas encouraged new ideas and new experiments. 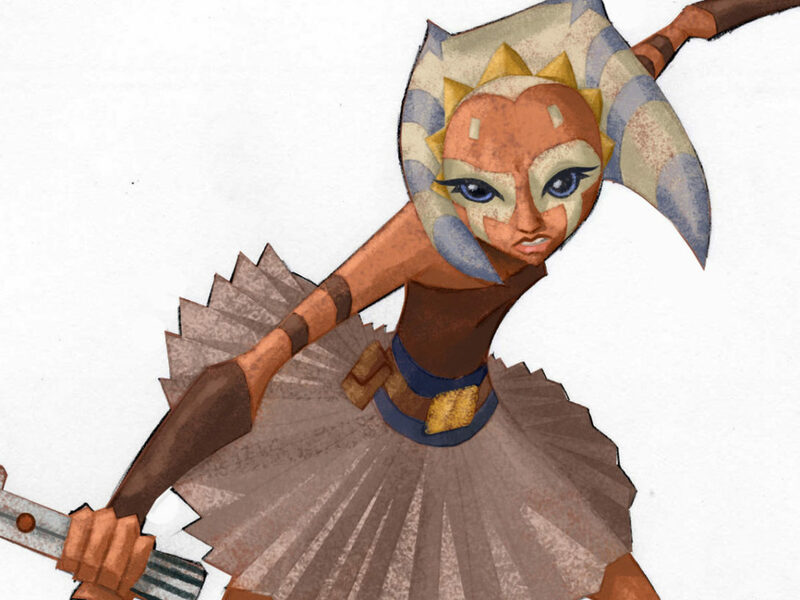 They used a new program to make The Clone Wars, they told new kinds of stories, they introduced new characters. 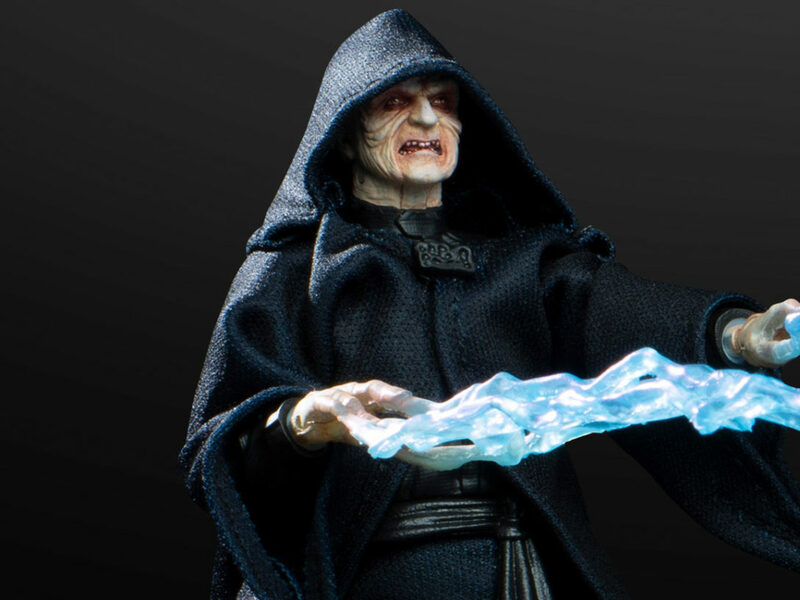 “Make no decision out of fear,” Filoni reiterated. 8. Learning how C-3PO, Chewbacca, and Lando Calrissian came to be. 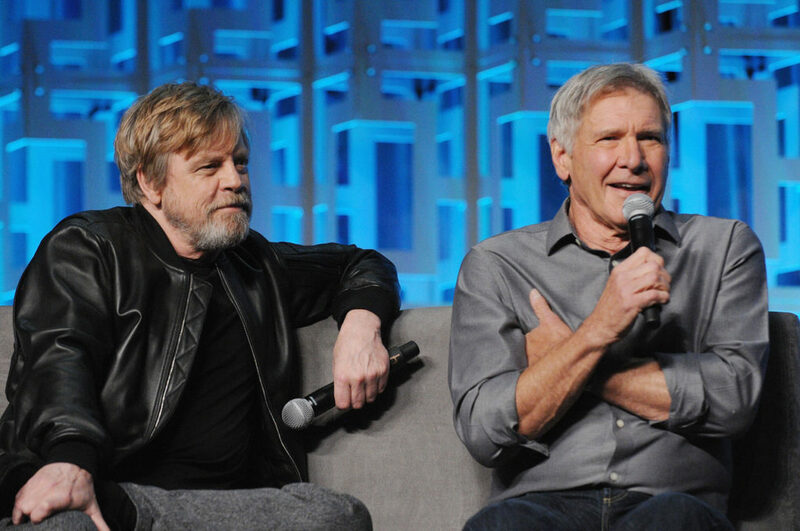 Anthony Daniels, Peter Mayhew, and Billy Dee Williams all came out for discussion together, and looked back on the beginnings of their characters with Lucas. Regarding Threepio, Lucas said to Daniels: “The key to the construction of you was the face. The face had to be absolutely neutral so you could act, and the acting would come through, and it wouldn’t be counter to what your face was doing.” He noted that once Daniels was in the suit, the character came alive. Ironically, of all potential Threepio faces, the one selected was Daniels’ least favorite. Fisher’s daughter, Billie Lourd, was the last to speak. Wearing a Leia-like white dress, she discussed her mother’s impact, her talents, her honesty about her problems, and about how much she loved Star Wars. “Nothing about her was a performance. She loved you, she loved these movies,” Lourd said. And she loved Leia. A tribute video to Fisher was then played; it featured interview clips of Fisher and her friends, as well as behind-the-scenes footage, and fans were wiping away tears. You can watch the video below. 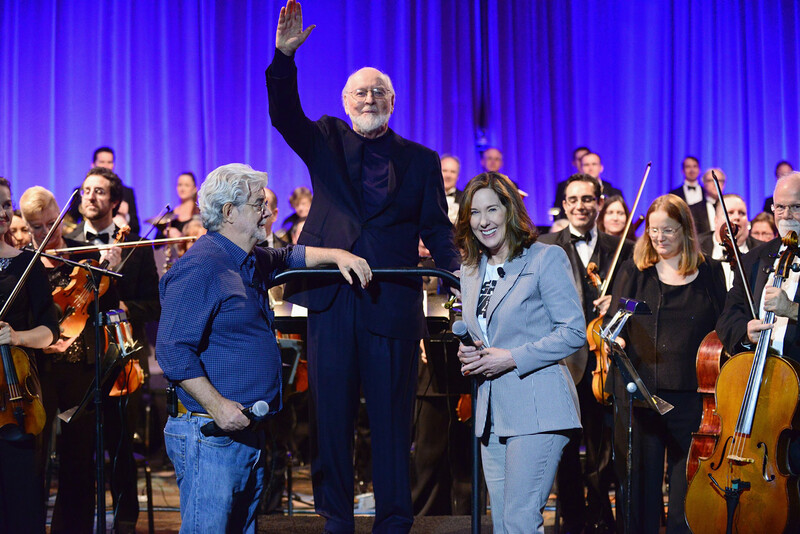 The panel closed with the previously mentioned performance by John Williams, capping what became a celebration of both Star Wars and its princess. For those in attendance, it was fitting for the magic given to the world by both. Special thanks to RTS. Visit their official site, YouTube channel, and Facebook page.